You can get a full list of features here. 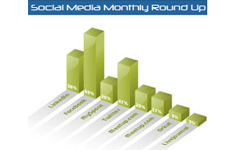 The service is being offered to companies that follow a strict adherence to permission based marketing. Pricing for the email marketing service is based upon subscriber base and starts from $20 USD /mth. TechWyse CEO DJ Kennedy talked about the evolution of the email marketing product. "WHICHABAM! is a product we have developed in response to years of experience in the industry. After carefully working with other email marketing services, we realized that the only way we could truly ensure our clients success was by implementing a system which provided both a surefire way to connect a subscriber list with recipients and a tool set to measure campaign success. We are delighted with the final result and have received some fantastic feedback since our initial launch." TechWyse continues to develop innovative products to help business work better. To learn more about WHICHABAM! 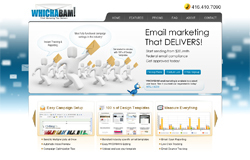 make sure to visit the newly launched email marketing website. Founded in 2001, Techwyse is an Internet Marketing company based in Toronto, Canada. TechWyse provides a wide range of Internet marketing services all focused upon increasing revenue via Internet marketing channels. This methodology includes development of conversion friendly website’s, driving relevant visitors to website’s, and measuring success through various measurement techniques. Visit TechWyse today to learn more. Great news from you guys! Congrats on the new launch. A thoughtful step from your side to meet the diversified email marketing demands that exist today. About the service – it is feature rich, love it! I am totally impressed with your new offering. The features too are excellent, especially the tracking system. Considering a switch over to this innovative system from my current outdated email software. This is going to be a strong addition to your existing product line! Great website. Very creative design and easy navigation to all features of the website. 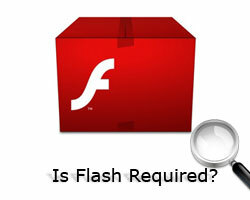 The flash background on the home page is very striking and the bottom horizontal scroll bar is amazing ! The pricing plans also seem to be very competitive.